Today is the second day of Rosh Chodesh Tevet, the beginning of the new Jewish month. It is also the seventh day of Hanukkah. That means that the past two mornings have been long, complicated prayer services with Torah readings from two separate Torah scrolls, Hallel (songs of praise for both Hanukkah and Rosh Chodesh), and a Musaf service for Rosh Chodesh that includes an insertion for Hanukkah. It's unusual for morning minyan to last for a full hour, but Rosh Chodesh Tevet is always a long service (of course, it's even longer when it falls on Shabbat). There are a few days when morning minyan gets complicated and requires a road map (like Hoshanah Rabbah for example). A gabbai (one who runs the synagogue service) often uses a luach (calendar and service guide) for assistance in coordinating the services and making sure that nothing was left out that should have been included or included that should have been omitted. There are several Orthodox versions of a luach and many Conservative Jewish leaders will use those, however, the newly revised official luach of the Conservative Movement is a wonderful resource. My teacher Rabbi Miles Cohen (pictured below) took over the responsibility as editor of the USCJ Luach (or Luah with a dot under the 'h' as its rendered therein). Kenneth Goodrich created the first Luach for the Conservative Movement 17 years ago for the Jewish year 5755. Upon Goodrich's untimely death in 2004, Rabbi Robert Abramson edited and managed the publication of the Luach. This is the first year that Rabbi Cohen has taken on the editorial tasks. 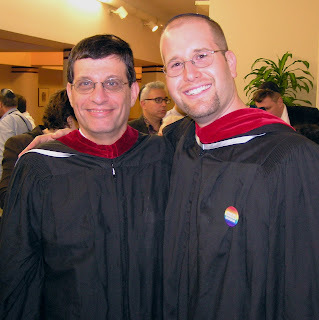 I studied with Rabbi Cohen at the Jewish Theological Seminary and found him to be an amazing teacher who takes synagogue skills very seriously. He is punctilious when it comes to nusach (Hebrew pronunciation and melody) and is one of the world's experts in Hebrew grammar pertaining to the Torah text and liturgy. Rabbi Cohen is also a master typesetter, and has created guides and interactive software for learning to read Torah, haftarah, and megillot, as well as guides for nusach skills and Hebrew grammar. 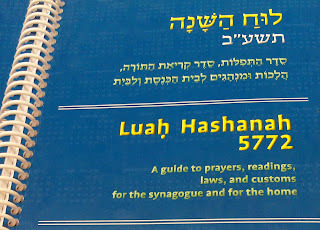 The USCJ Luah can be purchased from the United Synagogue for Conservative Judaism online book service. It is an indispensable tool for the Conservative synagogue and Rabbi Cohen has superbly improved this important resource. There is criticism aimed at the center-to-right part of Orthodox judaisim that say their rabbis should not sit on any "board of rabbis" or other similar religious body with non-orthodox jews. Yet it seems that the same movement that criticizes this decision by the orthodox as anti-achdus (surely there is a better term that just doesn't come to mind right now....) finds it necessary to publush their own luach. Why is that? 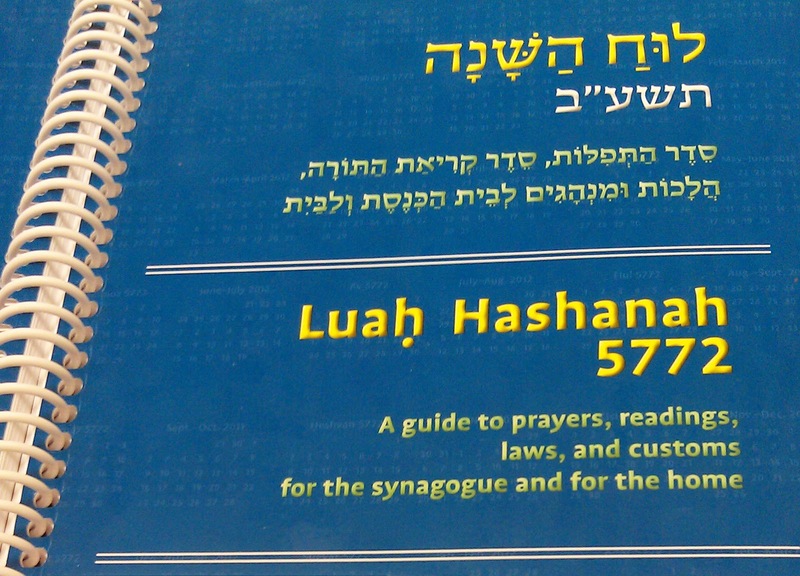 You say "There are several Orthodox versions of a luach" so why does the USCJ need to put out their own version? Really, what are the differences? Why is the Orthodox version not good enough, especially when so many exist and are widely used? L'havdil, did you know that the Rama was working on his own version of a "shulchan aruch" when the one already compiled by R' Yosef Karo became available? What did he do? He decided to take a step toward achdus, so that the entire Jewish world would have just one shulchan aruch, and he made his version into a "mapa" on the mechaber's version. It's quite simple. The Luach includes page numbers from our Siddurim, Machzorim and Chumashim. As such it is more useful to a lay-gabbai, or someone with less rabbinic training.